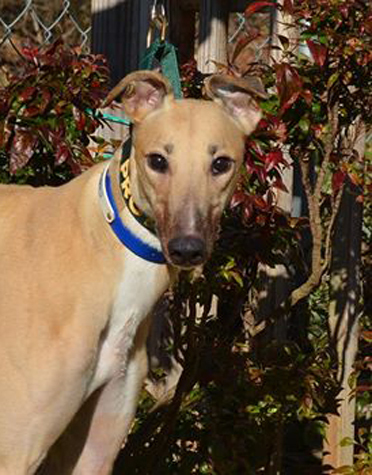 Copper is a beautiful fawn female greyhound that was a very good racer at Tri State in West Virginia. She got up to the highest AA level before she retired. She had an injury to her leg in her last race and had to have surgery to remove her dew claw before she was sent to us. She is fine and has been cleared by the vet for adoption. Copper raced 55 races. She will turn 3 on April 27th. Her sire is Kiowa Mon Manny and her dam is Amber Blossom. She raced at 62 pounds. Copper is a sweet friendly girl. She has been good with the children and small dogs she has met but still needs testing with cats.